I've been here for about a year so I figured it's a good time to have my own release thread like the other cool kids on this here forum. Welcome. Here you'll find predominantly Muse customs, since that has been my thing for almost a decade now beginning with FoF. By the way, I have a project there with many more songs if you'd like to check it out. Most of the customs here are conversions from that project. You can request the priority of the conversions, and track the progress, in this thread. I mostly stick to it. I'm also doing a project to author the openings of JoJo's Bizarre Adventure. This project moves slow so I would recommend patience, or Made In Heaven. I have some other customs that are not uploaded by me, but are based off my authoring, with some additions by the kind uploaders and collaborators. Starting off this thread with the announcement of Easily, just released right now to the database. I'll be silent for a little as I work on a really cool 3-pack I know will be appreciated. Yes!! Thank you thank you, "Easily" is one of my favourites, never thought I'd see it. Will be fun! you have probably seen my name before but I just wanted to say Thank You for all that you do to get Muse on the database! I just made a FOF account just to see some of your videos and its incredible! I noticed that there isn't an entry on Invincible on here. I have it from earlier threads but can't seem to find it anymore. Maybe you can upload yours? again really appreciate you and this thread! But thank you for the Muse tracks! Love them so much! I knew it was only a matter of time before this happened but I wasn't expecting page 1. Thanks for the comments. When I get around to properly updating it for RB I'll reupload it. Thanks for Easily and other Muse deep cuts you've made. Great work! Less than a week now until C3thon. My lack of uploads recently has been from working on my contributions. I will only be releasing a few songs, no crazy amount like some others, but they are among my most requested over the years, all the way back to the early FoF days. I hope you all enjoy the amazing work we have put into all this and donate to the wonderful cause. A few authors have been posting fun hints to what their releases will be. With that in mind, I leave you with this photograph from Alaska. Would be great, but I'm skeptical that the entire album would count as "a few songs" though... Will be interesting to see what wizard kueller has in store for us! The secret is now partially out from the preview video, as if the image wasn't obvious enough. I've also updated my profile, if anyone cares for some in-site entertainment. 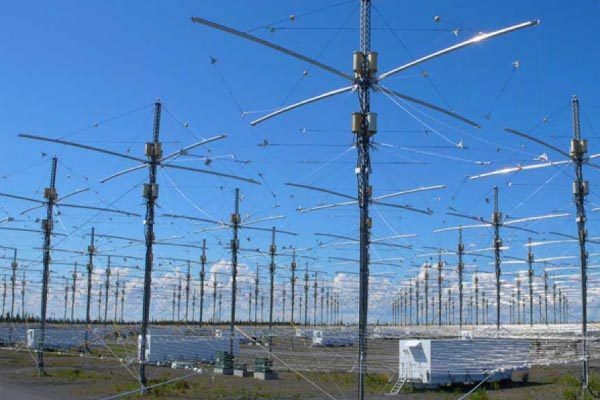 I've added the HAARP 3-pack, for C3thon! Since I started this Muse project years ago I have wanted to author songs from this album, and I've received many requests from others to do so too. Deciphering the live recordings was difficult though, so I always put it aside. C3thon seemed the perfect cause to roll up my sleeves and take on a few songs. So I hope you all enjoy this release, because it is big milestone for me personally. I will someday do more from this album although I don't know when yet. I have also personally donated $15 per song to go along with the release. I hope you all enjoy the rest of the event. Great work kueller, will bring a lot of fun I'm sure! I've never forgotten. It's been such a wonderful community that I'm glad to have stepped in to. C3thon has completed (although donations are still open!) and as the year comes to completion here are updates for what I have planned for 2018 so far. First off, thank you to everyone that has downloaded and enjoyed my C3thon releases. Primarily the HAARP 3-pack, but also "Gohan wa Okazu" from K-On!! and "Komm, süsser Tod" from End of Evangelion. I have one Muse song currently in the pipeline. Not a convert, but a new one all together. Trying some new things with it. Afterwards, do not expect any new releases for some time, as I will begin the project of updating all my current releases. Starting from my first custom (City of Delusion) I will be fixing errors, adding custom venues, and pro keys if applicable. Sono Chi no Sadame is finally getting Pro Keys. After that I have some very ambitious Muse projects for you to look forward to. As for non-muse, besides the other JoJo OPs, I have some other random songs planned ahead ranging from video game OSTs to niche tracks in my library. I am also working on a couple collaborative projects with other authors, both of which will be released in the first quarter 2018. Enjoy the rest of the year everyone. Looking forward to your releases! I guess it should go without saying I'll be doing Thought Contagion. But here's a post to make it official.